From forests to mills to delivery, our success depends on precision scheduling. Whether you're planning a production build of 100 housing units or a 500 acre vineyard, you need your product delivered where you want, when you want, on time and in full. 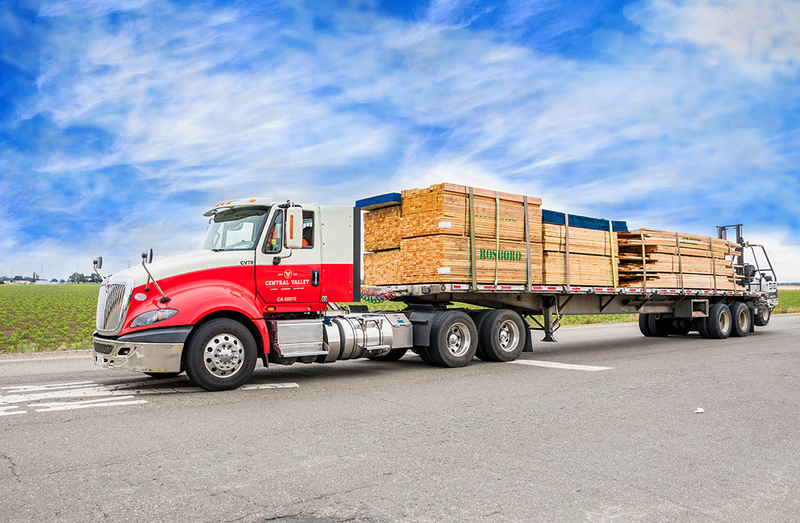 Our seven warehouse locations across Northern California are fully stocked for the builder, with a fleet of over 55 delivery vehicles, including piggyback forklifts, accompanied by a delivery team that brings it all to you. We buy mill direct. Our eight locations, two rails spurs, and 55 trucks are working hard every day. With hot shot vehicles for 911s, piggybacks for off loading big jobs, 38 acres of inventory, 6,500 outbound truck deliveries, we're covering Northern California to get you the materials, tools and supplies you need. You don't have time to waste on the job, so get the delivery that keeps you moving. From the Grapevine to Reno, from south of San Jose to the Coast to the Oregon border, we're proud to keep the builders and growers of Northern California supplied with quality products, materials and supplies. This is our home and we're going to bring the best service to every project - so you can keep growing, building, and making it better. Our Pro Desk is full of former builders and contractors that have been in your shoes. They'll help you bid better prices, get the quality product your customers want, and find a delivery schedule that suits you.